Hi friends! 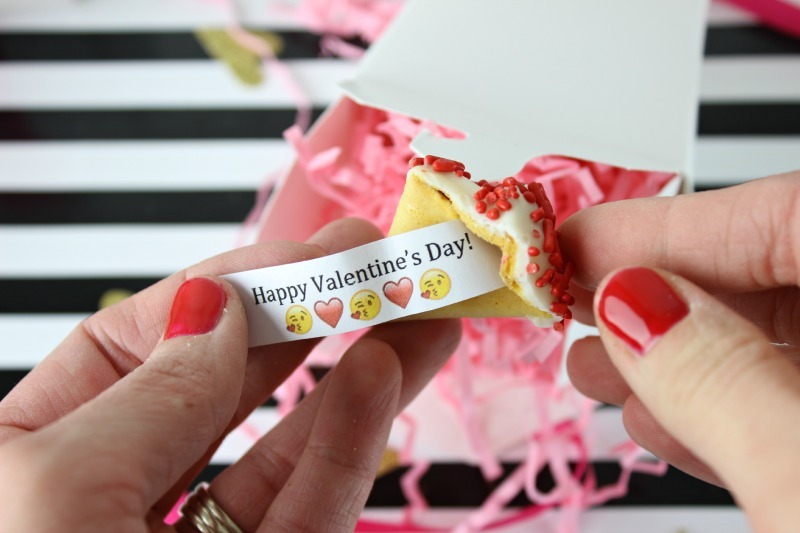 Today we are guest posting at Over the Big Moon, sharing these stinkin’ cute Fortune Cookie Valentines! 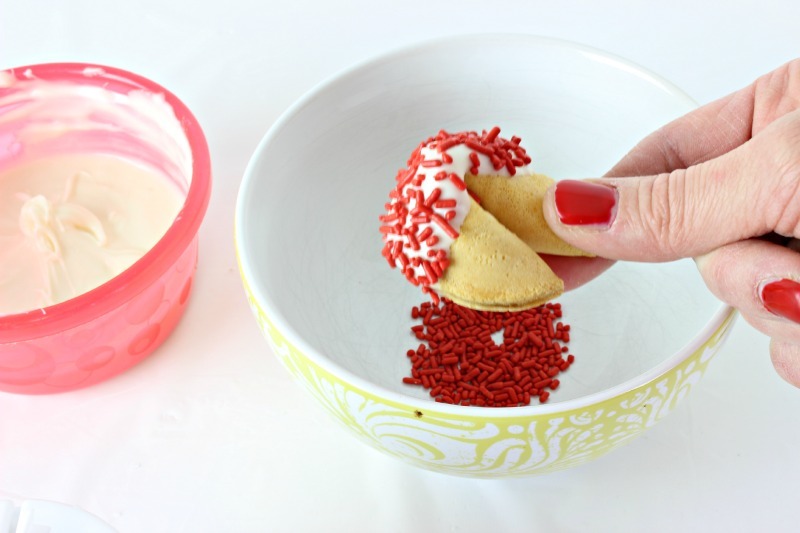 We created it using a custom fortune cookie and my gosh, they’re so cute! 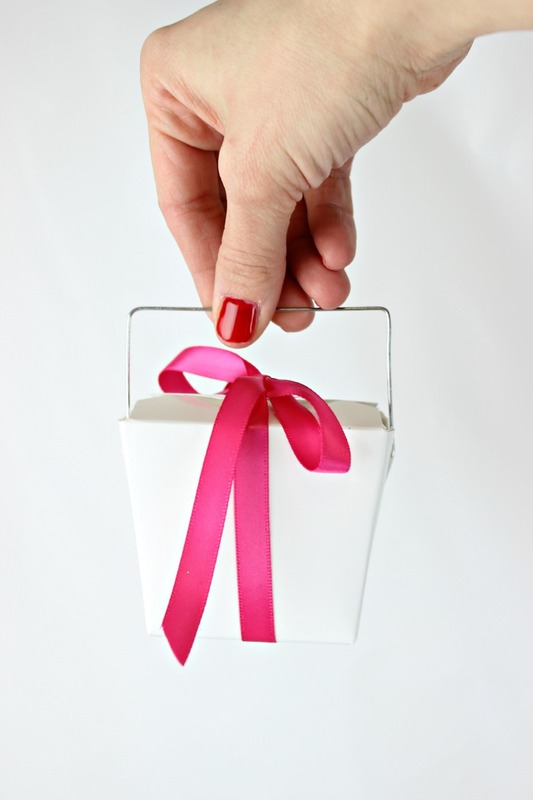 Click over to Over the Big Moon for the full tutorial on how to put these cute little valentine’s gift boxes together! But first, we’re going to show you how to make your own custom, chocolate dipped (!!!) 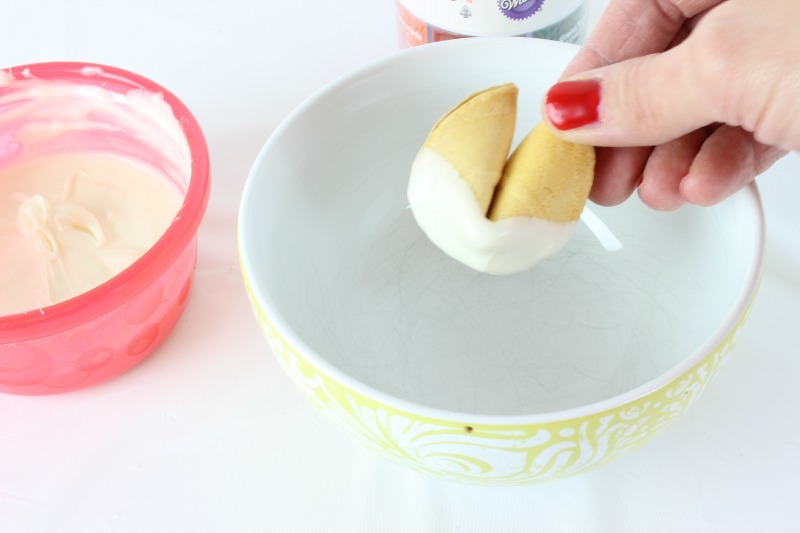 fortune cookies with your own fortune inside! So fun right?! 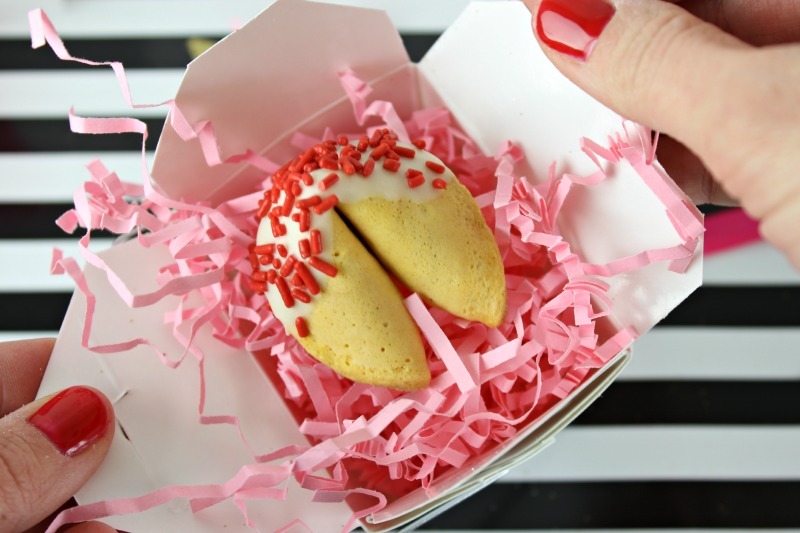 These cute little boxes are filled with these adorable custom fortune cookies! We’re going to teach you how to make them. 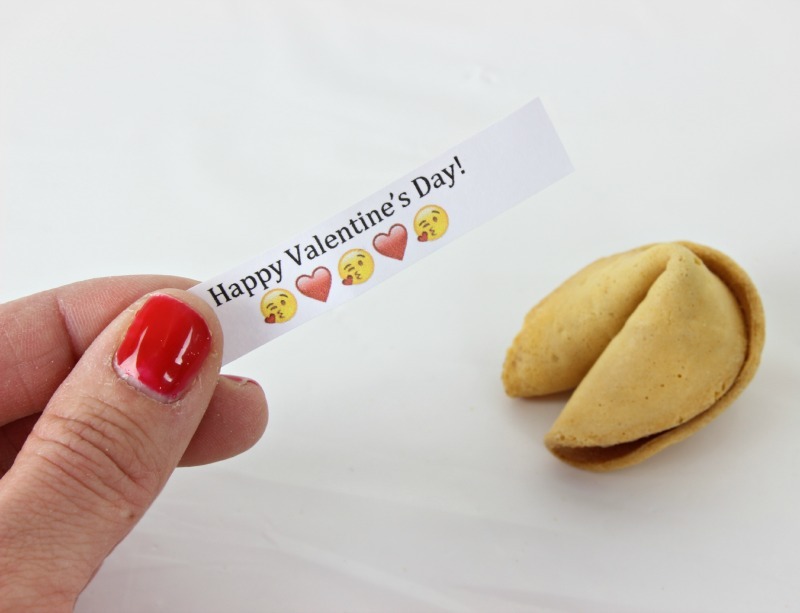 First, download your Happy Valentine’s Day Emoji Fortunes and print them off. Using some small (clean!) 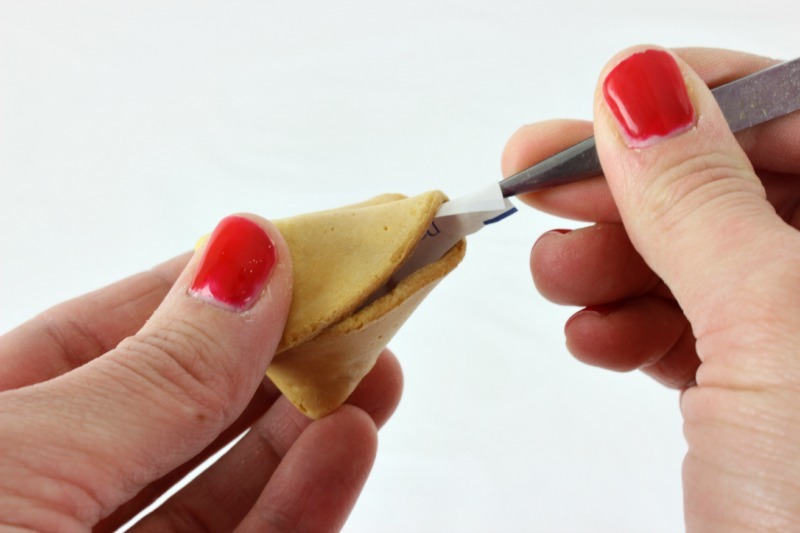 tweezers, remove the fortune that came with the cookie. 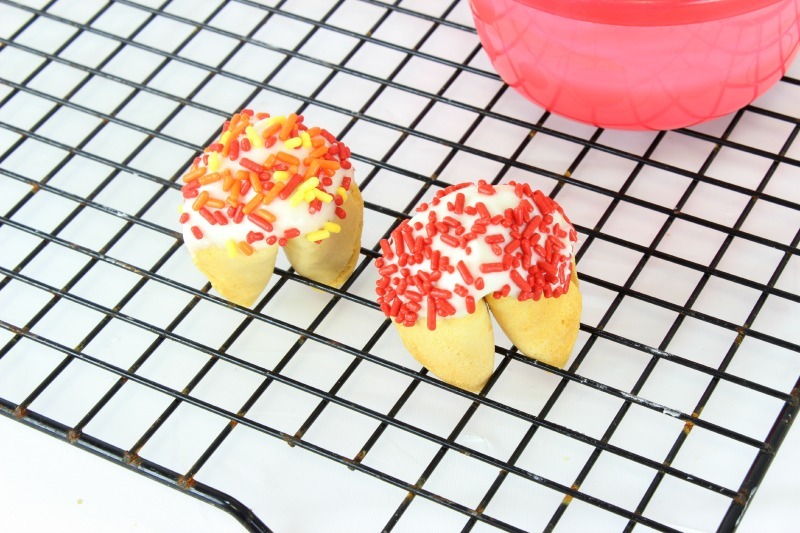 No, you will not be able to get the fortune out of all cookies. Some have larger openings than others and you cannot use them all. 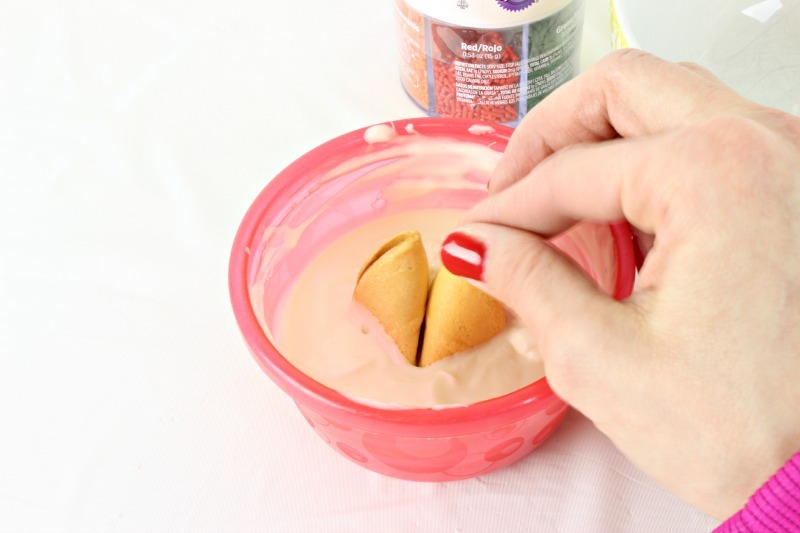 My kids LOVE fortune cookies so I gave the ones I couldn’t use to them in lunch boxes or an after school snack. They love them! Next, take your print out the Happy Valentine’s Day Emoji Fortunes and cut them into strips. 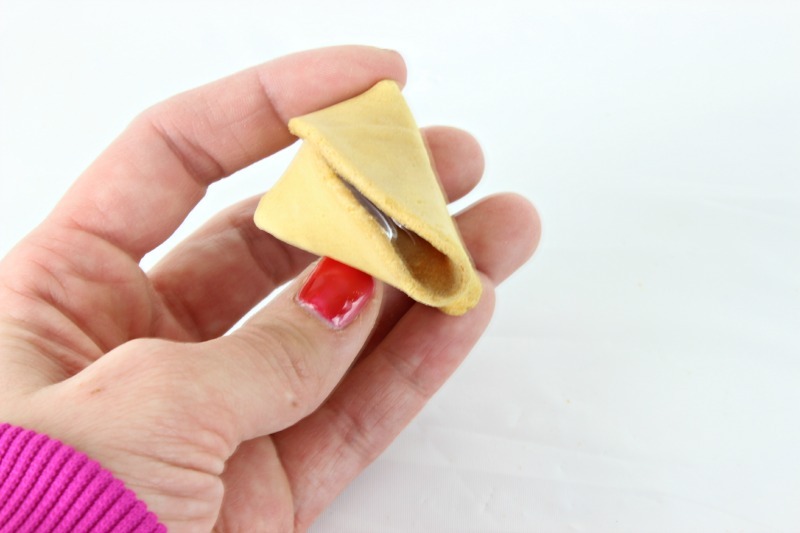 Fold or roll up the fortune and feed it back into the cookie. Next, melt candy melts according to package directions. I used a small plastic bowl and heated in 20-30 second increments, stirring in between until it was melted all the way through. Next, dip your cookies into the chocolate and shake gently to remove the dripping chocolate. In another bowl, add sprinkles to the melted chocolate on the cookie before it dries. When it is dry, package it up and give it to someone you love! Creative Valentine's Day Ideas from Sweets to Printables! I once replaced fortunes with song titles when I sang for a dinner party with a Chinese theme. The guests were intrigued and delighted that they were part of the show!